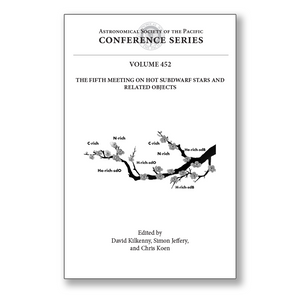 This volume reports the fifth in a series of biennial meetings on hot subdwarf stars and related objects, held in Stellenbosch, South Africa, in late July 2011. The event celebrated the sixty-fifth birthday of Dave Kilkenny. A number of advances in both theory and observation since the fourth (Shanghai) meeting are presented. New models of subdwarf evolution, including envelope ejection, accretion models and flash-mixing, are compared to field and globular cluster stars. Advances in stellar atmosphere models are applied to subdwarf observations revealing stars with very unusual abundances, and spectropolarimetry is used to search for magnetic fields. Data from many surveys, including GALEX, SuperWASP, Mercator and Kepler have revealed new and exotic binaries, but old favourites such as AA Doradus have also been studied and used to improve the models themselves. New observational results on pulsating hot subdwarf stars are reported, including the discoveries of a probable new group of cooler pulsating sdO stars.